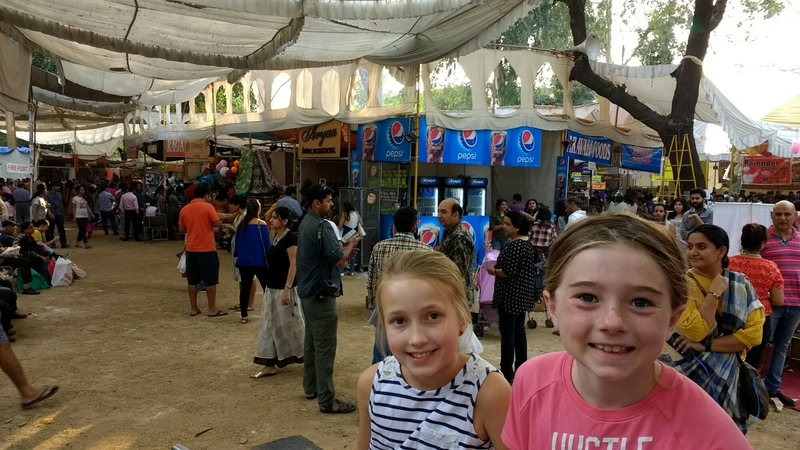 We had spent the previous day, our first day in India, with our wonderful friends, Sarah and Michael Koch. 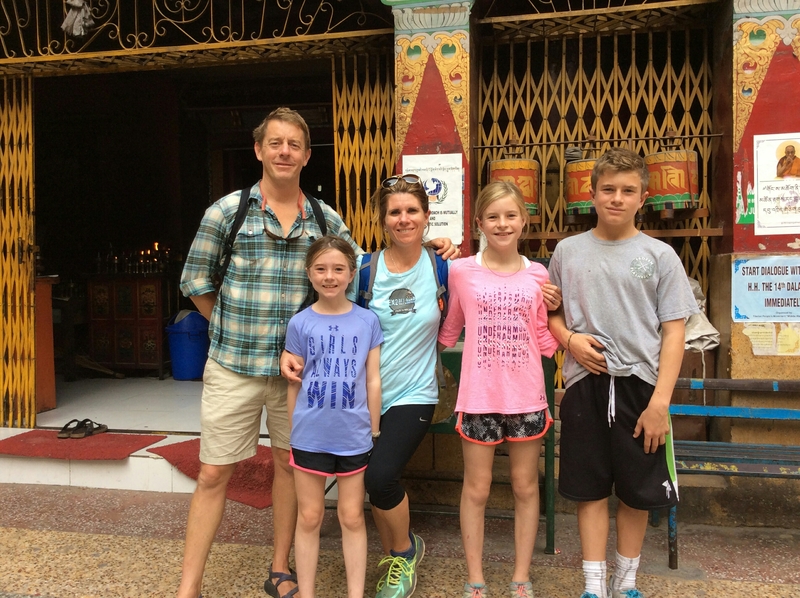 They recently relocated to Delhi from DC with their three kids and generously hosted us for the first days of our six weeks in India. They were the most gracious hosts and I can’t begin to imagine making our transition from Italy to India without them. To wit: Understanding that arriving here can be pretty tough, they treated us to a luxurious first day. We slept very late; awoke to hearty homecooked breakfast; visited a market selling beautiful crafts to raise money for a local blind school; and ended the day with a delicious dinner in their lovely home, a small farm in a quiet neighborhood on the southern outskirts of the city. It was just what we needed. Coco and Mimi at the local craft fair. The next day was a different story. 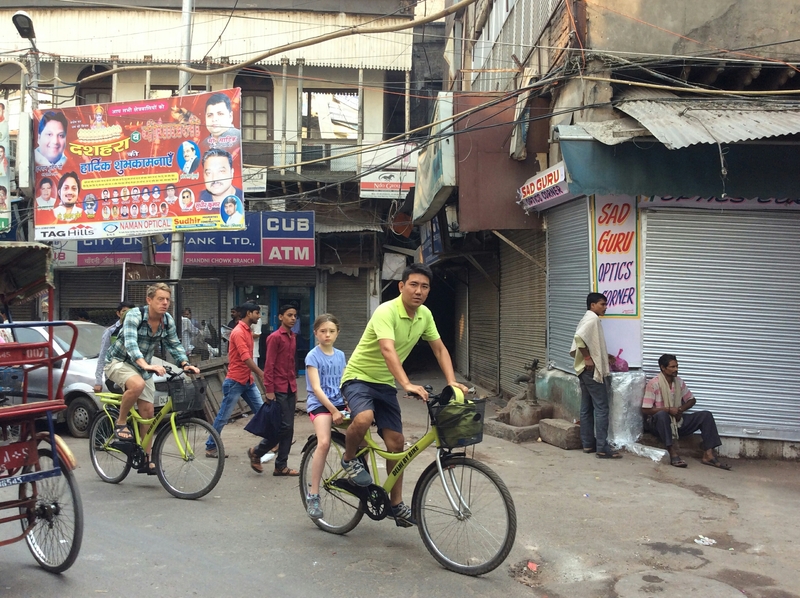 It was time to jump headfirst into our Delhi adventure. 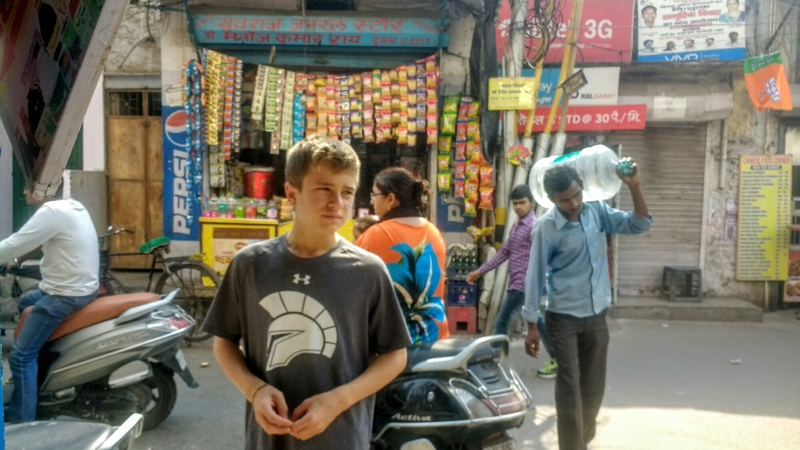 We figured what better place to begin than where Delhi itself had its start? And what better way to see this place than by bike? And in fact we were (though I’m VERY glad we left Phoebe in Sarah’s able care). 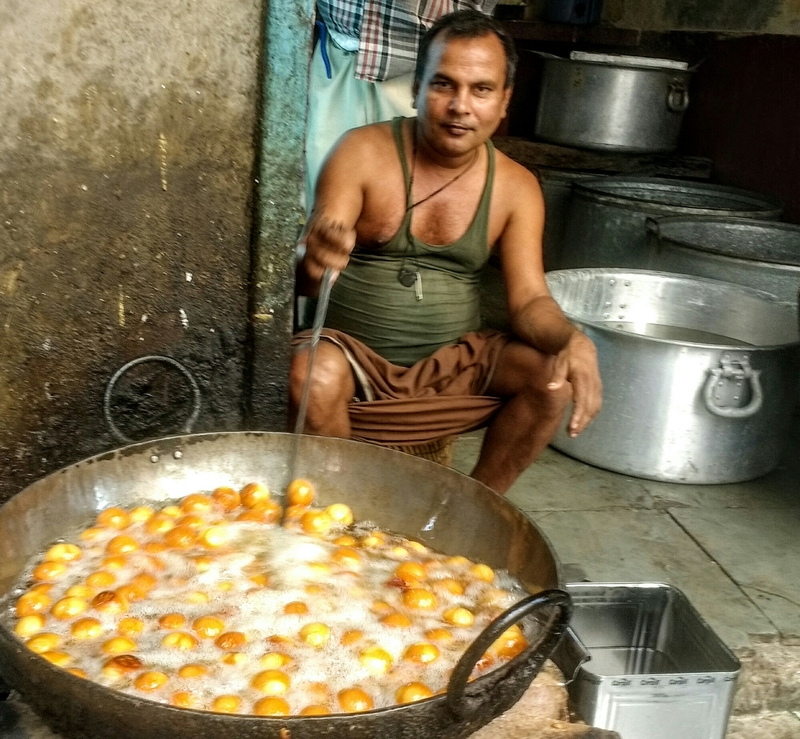 Our guide, Tenzin, and his team (of delhibybike.com) guided us expertly through the craziness of Old Delhi, keeping us perfectly safe, while they taught us some fascinating history and opened our eyes to this amazing place. 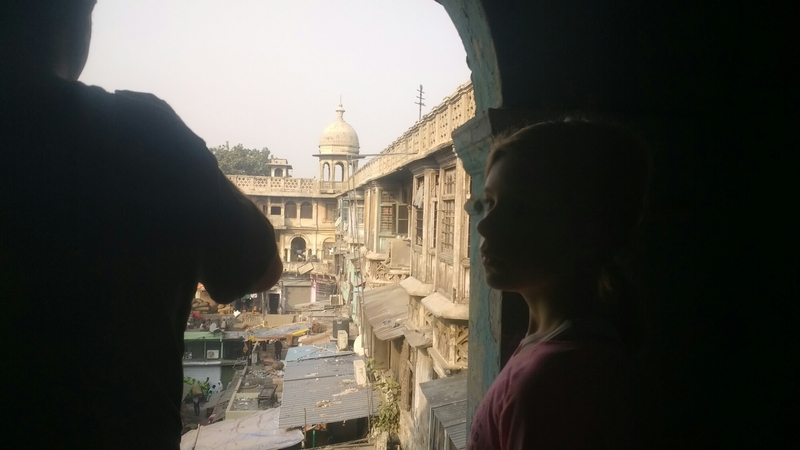 The history… Built in the 1600s to serve as the capital of the mighty Mughal empire, Old Delhi was once one of the richest, most cultured urban areas in the world. Its lanes and quarters formed an elegant labyrinth populated by courtiers, merchants, artists and poets. The residents enjoyed an incredibly high standard of living for the time, far better than the conditons that predominated in the rest of the world. In the 1730s, things changed. The city was sacked by a Persian “freebooter,” a rough translation of the Hindi word for pirate by land. More than a third of the people, including women and children, were slaughtered and the city’s riches plundered. This devastating assault weakened the Mughals tremendously and left them no match for a more insidious plunder soon to come: the economic imperialism of the East India Company and the colonization by England soon thereafter. The British left their mark on the subcontinent in countless ways. 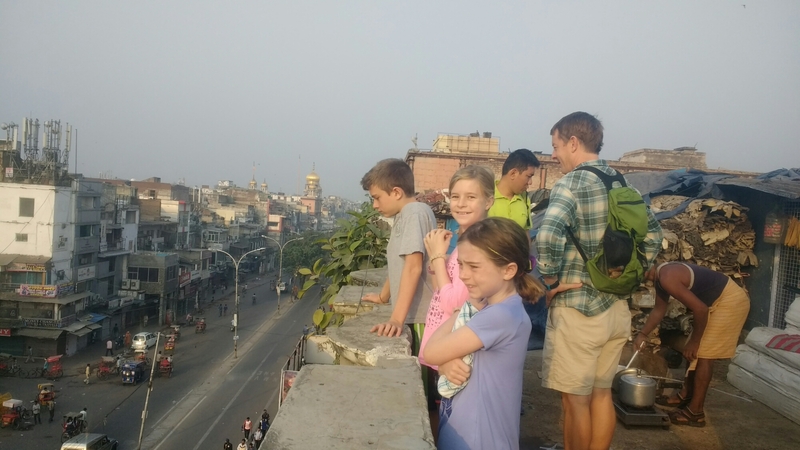 On the tour, we saw how colonization irreparably marred the architectural beauty of the old city. 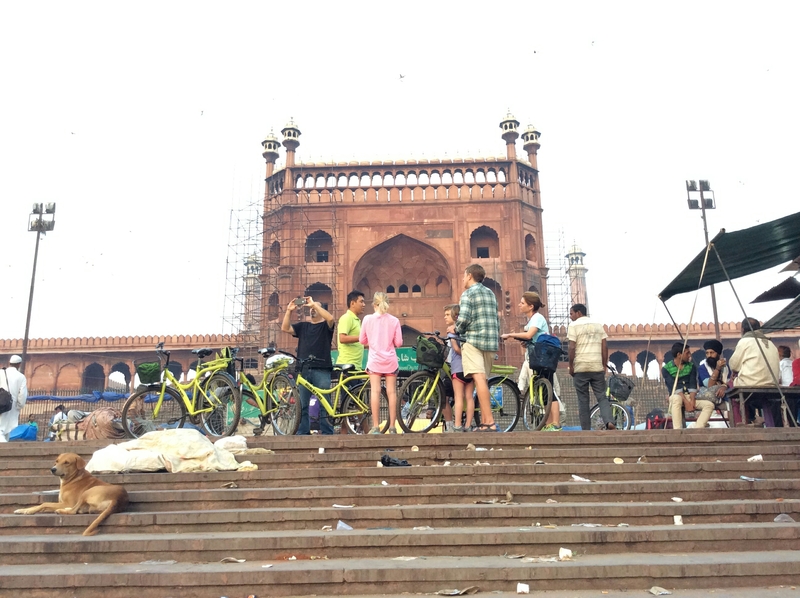 They turned the magnificent Red Fort into a crowded military garrison. They built a rail line that cut the city in half. The eventual transition to independence precipitated a level of violence and conflict that ripped at the seams of the culture. 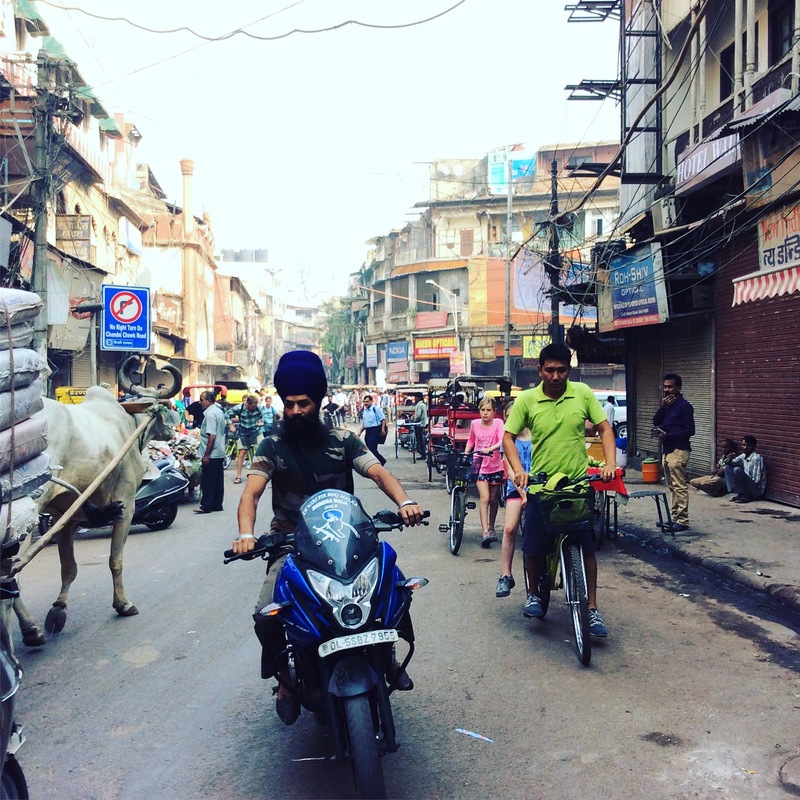 Opening our eyes… Today, Old Delhi is congested, chaotic, polluted, and filled with scenes of a life that was utterly foreign to us. The poverty we witnessed was acute. 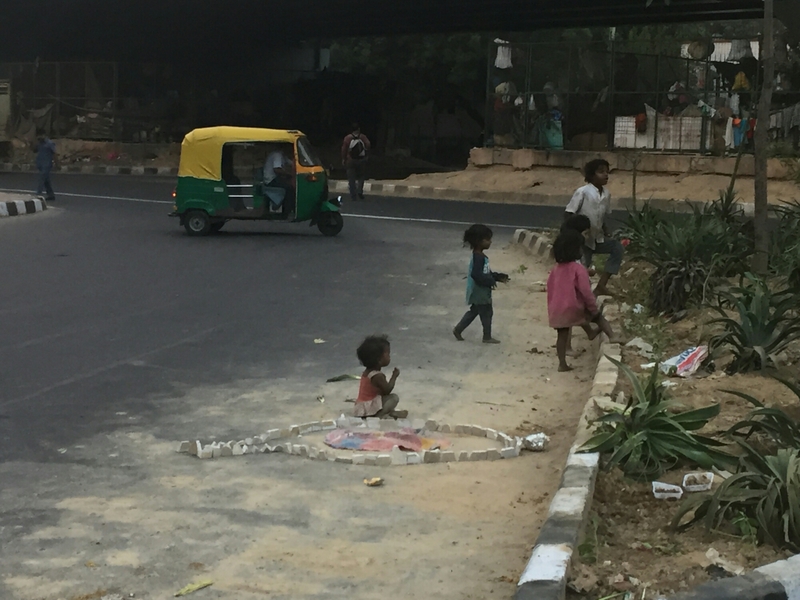 We saw homeless children, actual babies, living on the street, adults suffering enormous disabilities. They begged us, desperately, for anything we would give. And it was very very difficult to resist. But we were told to give food (in opened packages only) and no money, because money would be used to buy drugs for the people begging or, more likely, their parents or “bosses” who provided “protection.” We saw heaps and heaps of trash, with no garbage collectors in sight. 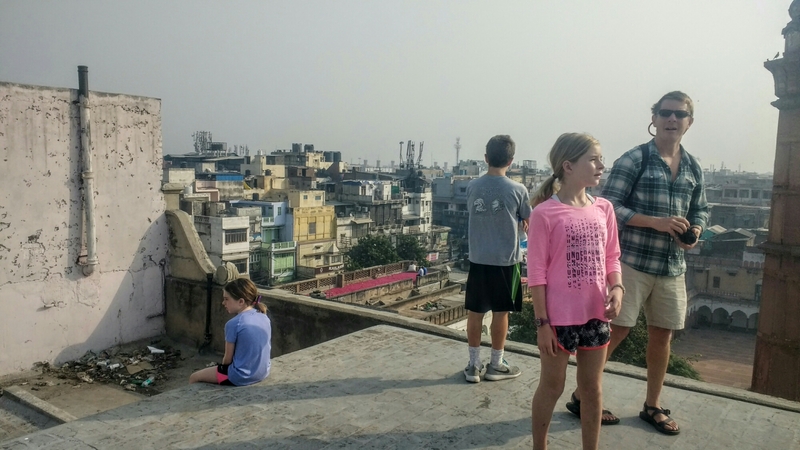 We saw old, dilapidated buildings, some abandoned, some packed with multiple, multi-generational families. But scenes of what looked like misery are not all we saw. 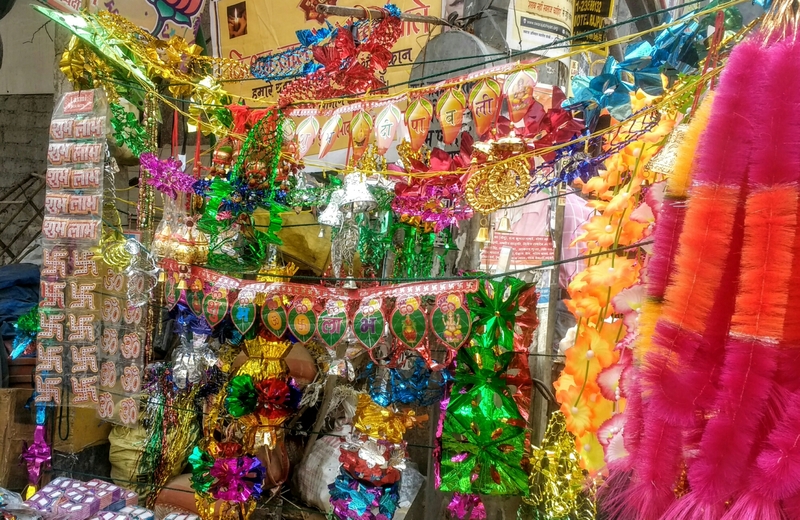 We also saw a vibrant and thriving market of local goods. The spice market was so pungent it had us all sneezing immediately. 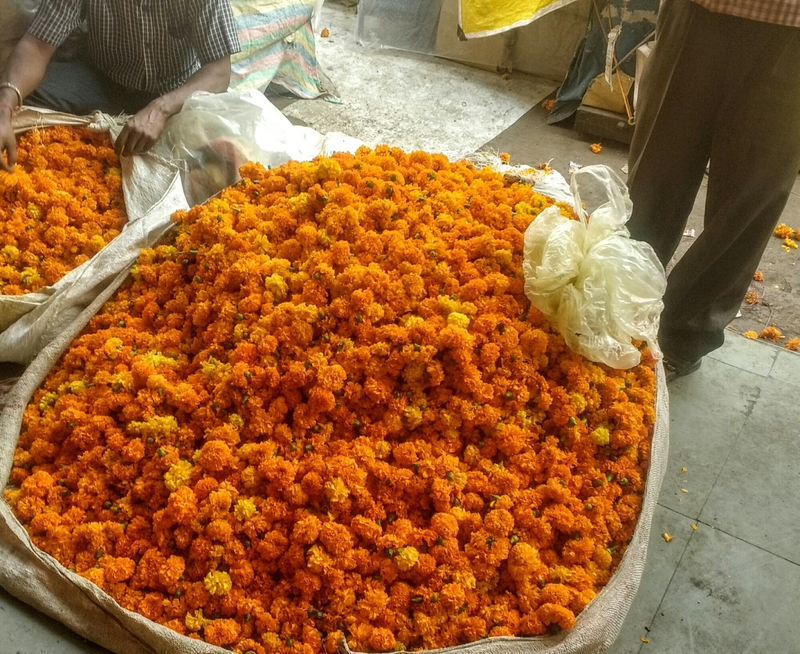 The stalls selling gifts and decorations for Diwali, India’s Christmas, were gorgeous, particularly those offering marigolds. 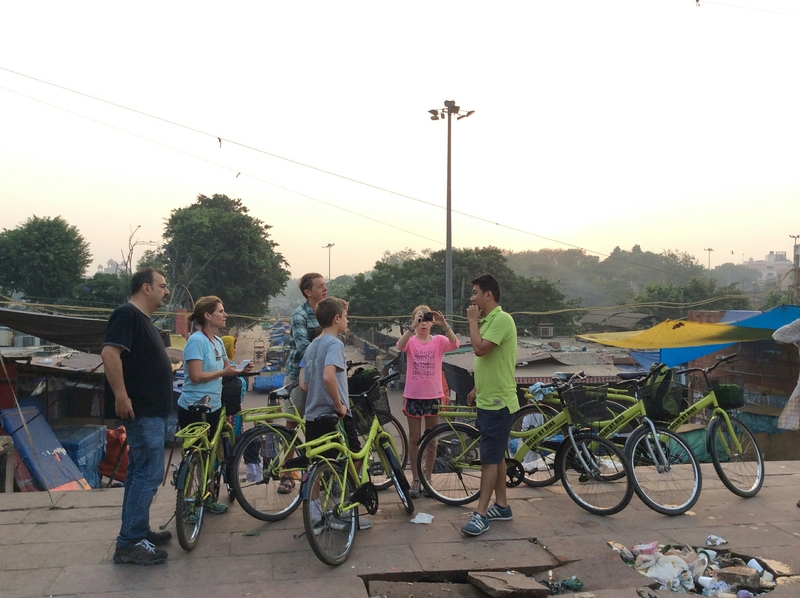 And everywhere we went, even in the poorest of neighborhoods, we received smiles and friendly greetings from people living their lives just like we do. What did we take away from all of this? What did our children think? I honestly don’t know for sure. And Brendan and I certainly don’t know exactly how to talk with our children about all that we’ve seen. For now, we share our reactions and ask for theirs. And we try to celebrate with them all the joy and beauty we’ve seen, which is a lot.